Queenie of Phair Yoga is our zen and yoga inspiration. She teaches yoga around Toronto, Canada and does yoga retreats. Her Instagram feed is full of gorgeous pictures that inspire and amaze - every pose she strikes, she makes it look effortless. But it's her captions that really drew us in! She is encouraging, inspiring...and real! Read Queenie's blog post: '5 yoga terms every beginner should know'. Headstand by Queenie, a Toronto, Canada yoga instructor. 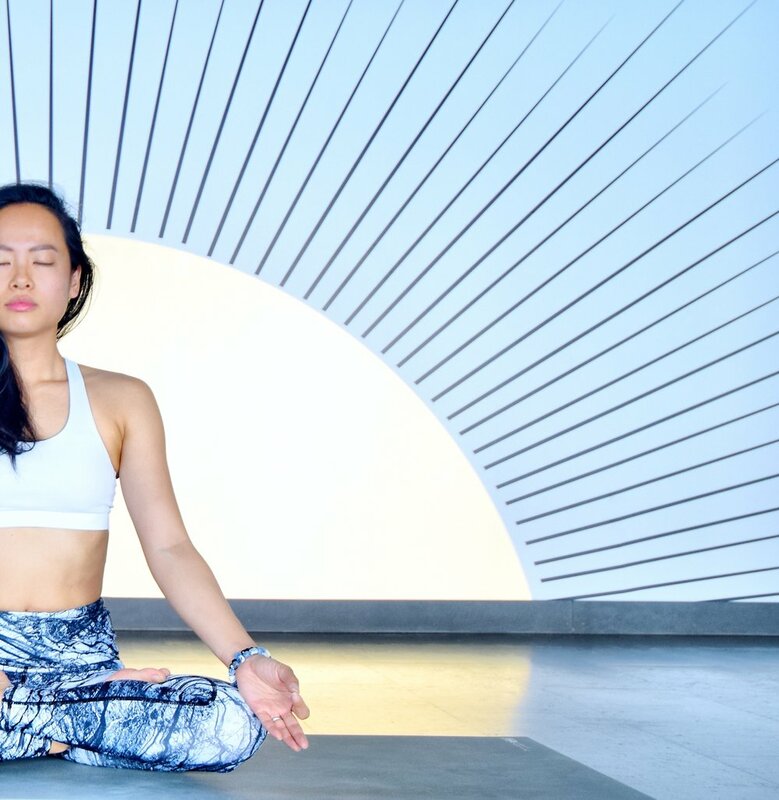 Getting zen with Toronto yogi, Queenie. Wearing blue sodalite bracelets. Yoga star Queenie making a headstand look effortless. At her yoga retreat in Greece wearing blue sodalite gemstone bracelets from Aura. Click link for more yoga inspiration. "I have chosen the #YoniMudra for today, the version that is used for meditation (not the Yoni mudra for Bhramari, and I'm doing the version with fingers interlaced!) and Yoni means womb. This mudra helps calm the mind, relieve stress, and encourage the flow of energy in the body. It also represents the feminine energy. Mudras are an important part of the practice because many of our "nadis (our energetic lines in the body), as well as nerves, and meridian lines run through the hands and fingers, and each mudra is designed to stimulate different lines and nerves."